50 Years Later: Memories of May '68 marks the events that brought nine million French students and workers together in a general strike and a unified uprising against capitalism, American imperialism, and Gaulism. This series explores the visual language of politics and protest, at once experimental and anonymous in a diverse array of “tracts” that used filmmaking as a direct, revolutionary action. We also explore the memory of May 1968 itself through Romain Goupil’s film Mourir à 30 ans, whose blend of home movies, archival footage, and interviews documents the energy of protest and the afterlife of revolution that at times proves fatal. In the wake of the uprisings of May 1968, French filmmakers addressed the turmoil through short political and experimental works. Maurice Lemaître’s Soulèvement de la jeunesse juxtaposes footage of the uprisings with an abstract soundtrack of Lettrist spoken word and song. 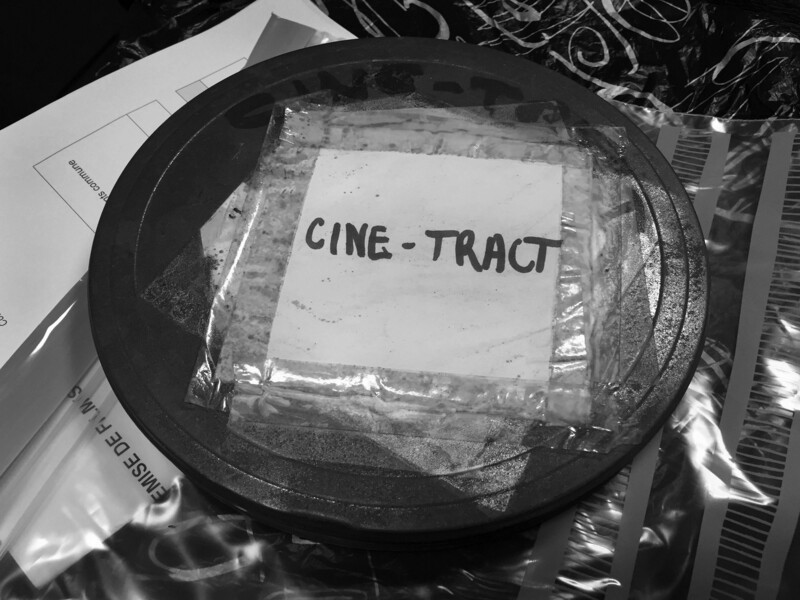 Meanwhile, filmmakers including Chris Marker, Alain Resnais, and Jean-Luc Godard anonymously created silent, political “ciné-tracts” using leftist and French modernist film techniques. Many of these films will be shown with English subtitles for the first time. Introduced by Jennifer Wild, associate professor in the Department of Cinema and Media studies. Co-sponsored by the Counter Cinema/Counter Media Project at the Center of the Study of Gender and Sexuality, and the France Chicago Center. Supported by the Cultural Service at the Consulate General of France in Chicago.